Hey there! 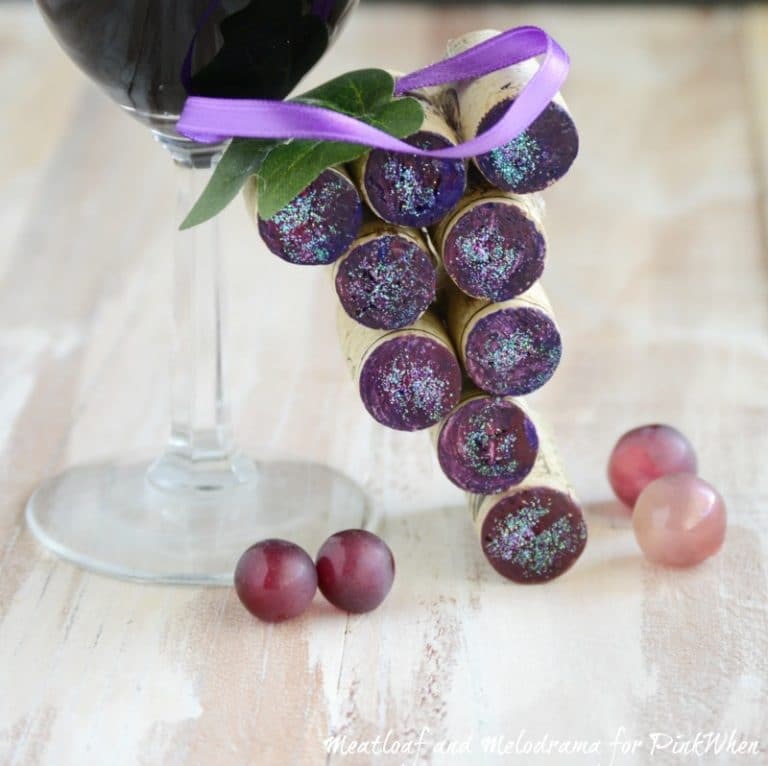 It’s Dee from Meatloaf and Melodrama, and I’m sharing a cute little wine cork grape ornament on the blog today. I know it’s early, but I love starting Christmas crafts a few weeks in advance so that I’m not stressing out at the last minute trying to get everything done in time. 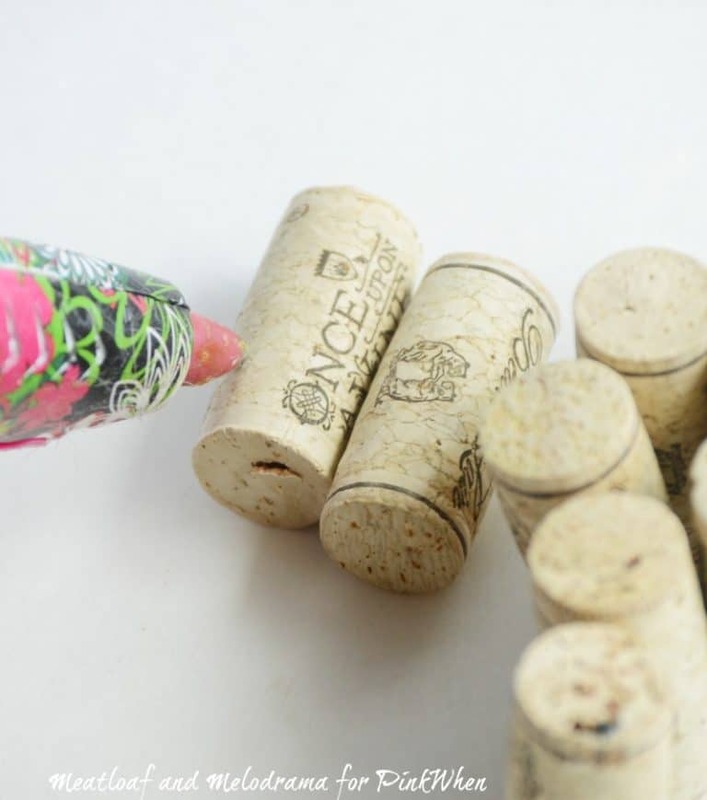 This particular craft is perfect for the wine lover in your life, and it’s not hard to do. 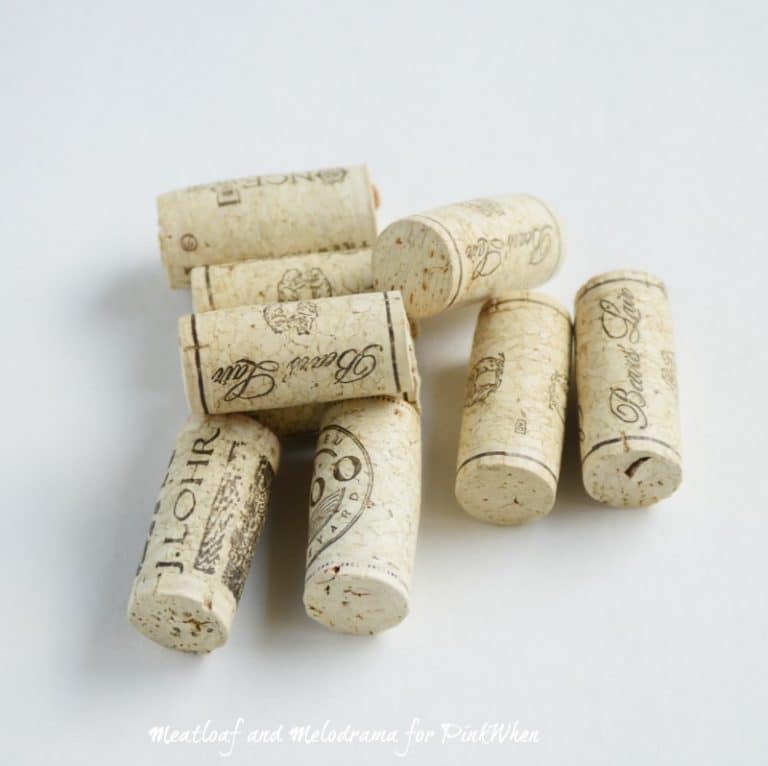 And, if you have any wine corks stashed away, this craft is practically free! I actually saw a similar ornament while I was out shopping the other day, and it was just adorable. 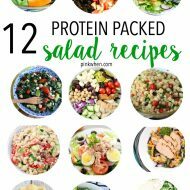 So, I knew immediately that I had to try making my own. I confess that I like to save wine corks because you never know when they’ll come in handy, right? I use them as vase filler, and I’ve always meant to use some for crafts, so this was the perfect opportunity! I only used 9 corks for the ornament, so if you don’t have any corks on hand, you can start saving corks now or maybe borrow a few from a friend. 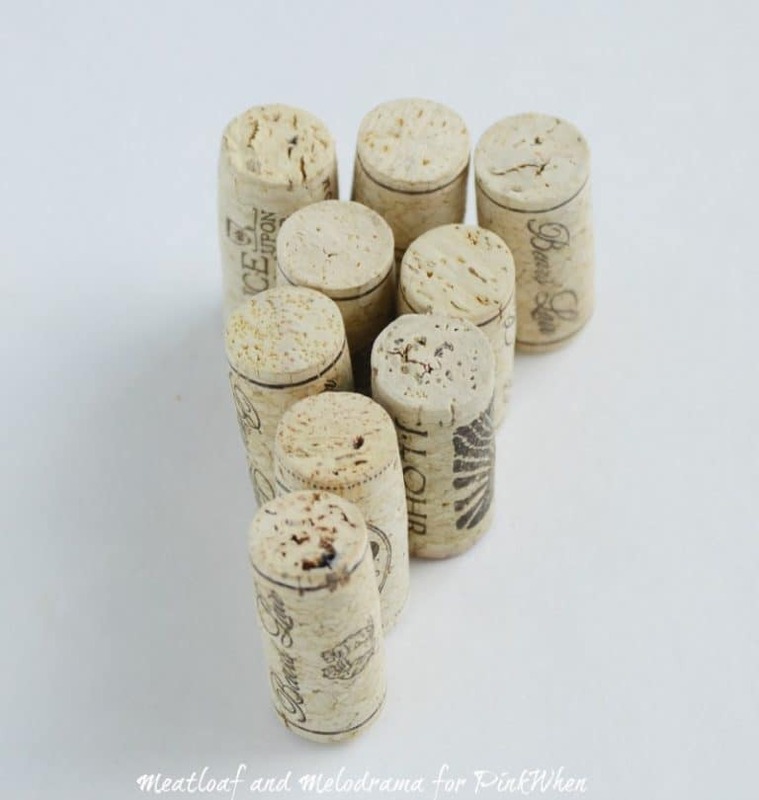 And, if you’re not a wine drinker, I’ve seen corks in the craft store, as well. I used three corks at the top, then two rows of two and finally, two rows of one. You could probably make it wider, but I thought this shape worked pretty well. I started out by glueing the three corks on the top row together. When that was done, I started layering the other corks on top of one another until they formed the shape of a grape bunch. Hot glue dries instantly, so it only took a minute or so to complete the bunch. Then, I added a loop of purple ribbon at the top for the ornament to hang, and I covered the ends with a faux leaf. 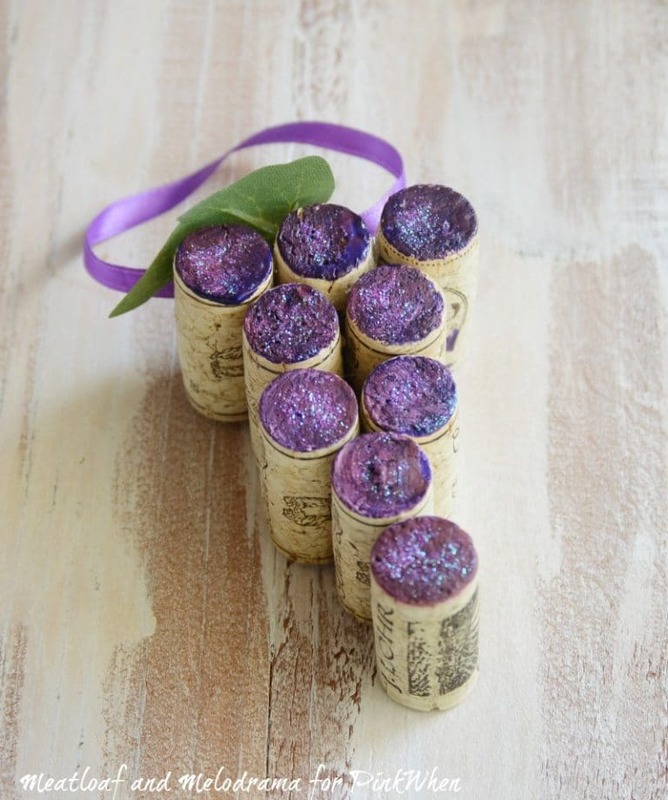 If you wanted to, you could leave the cork unpainted for a more rustic look, but I wanted some color, so I added a mix of purple and wine-colored paint. I’m not usually a fan of glitter, but I thought it would give the ornament some extra sparkle, so I topped the whole bunch off with a dab of purple glitter. You can make these wine cork ornaments for your own tree or give them to friends. 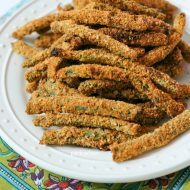 I’m thinking this would be perfect addition to a wine-lover’s gift basket or maybe even a cute hostess gift!